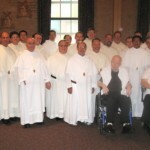 PARMA, OH – From June 29th to July 2nd the Mercedarian Friars of the United States Vicariate gathered at the Jesuit Retreat House in Parma, Ohio for their annual Continuing (Permanent) Formation Conference. 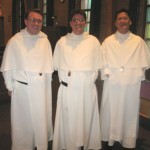 The conference included talks and workshops conducted by Fr. Dennis J. Billy, C.Ss.R (The John Cardinal Krol Chair of Moral Theology at Saint Charles Seminary, Philadelphia) and Fr. 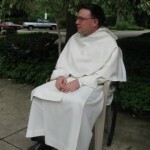 Gerard J. McGlone, S.J. Br. Justin Freeman, Fr. Matthew Phelan, and Br. James Chia. Everyone is happy during lunch. Br. Justin A. Freeman, O. de M. relaxes between conferences. 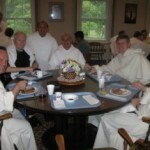 Feel free to read the article at the website of our friends at the Jesuit Retreat House.